When in Portland, a must-see for a foodie is a visit to a food pod. A food pod is a collection of food trucks and trailers which are settled in permanently. Usually there are benches, and one I visited had a 3-piece jazz ensemble providing entertainment! These pods are everywhere, including downtown and out in the various districts of Portland. 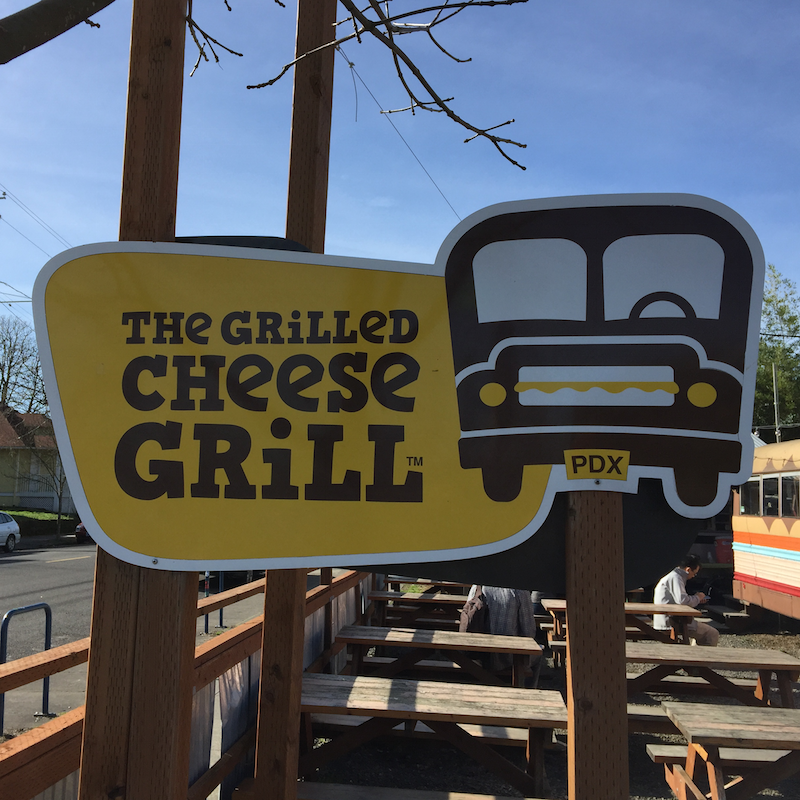 Read my full review with pictures after the break of Grilled Cheese Grill food truck in Portland, Oregon. 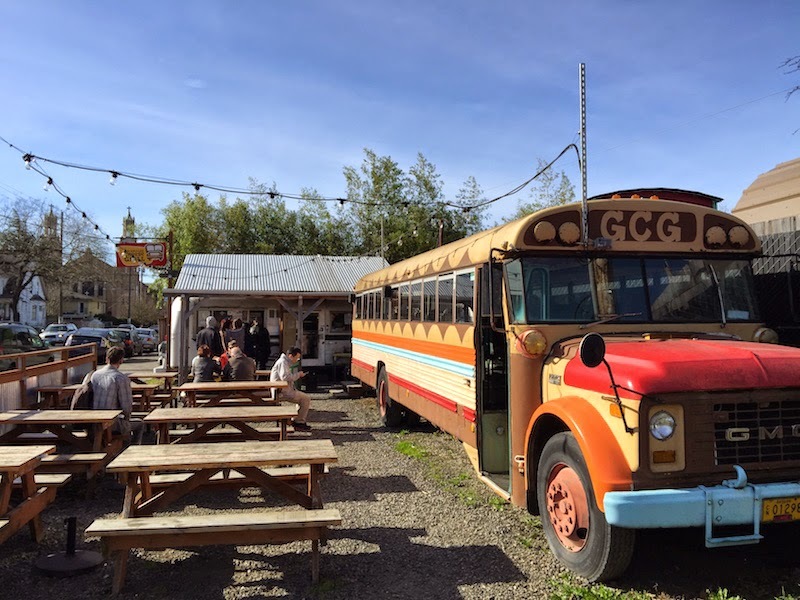 We visited Grilled Cheese Grill which is a food pod unto itself: there's no other food truck on it's corner, and it has it's own covered seating (in an old school bus) in addition to outdoor benches. But how are the grilled cheese sandwiches? In a word: perfect. Exactly the right amount of crunch, without being too greasy, with plenty of gooey cheese oozing out of the sides when you pull it apart. I had the Woody, which is Tillamook cheddar cheese, bacon, grilled onions, and mushrooms on white bread. We also ordered a cup of tomato soup on the side. 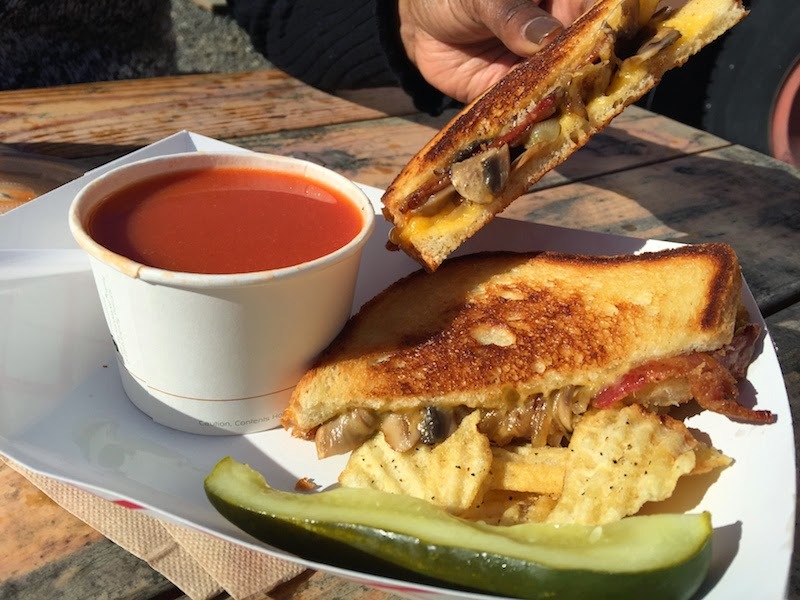 We found The Grilled Cheese Grill on Urbanspoon's list of top Portland food trucks. 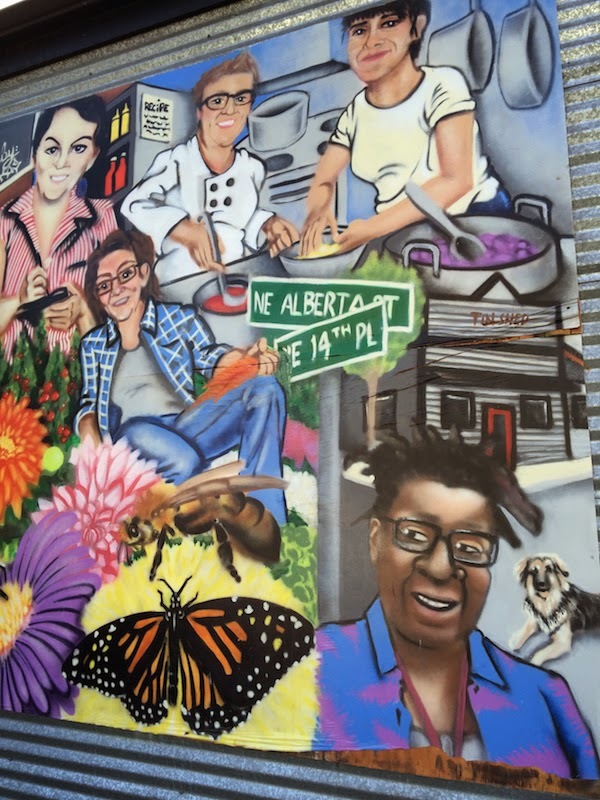 TIP: Take a walk along Alberta Street after your lunch at Grilled Cheese Grill, and enjoy the eclectic hipster shops and cafes.